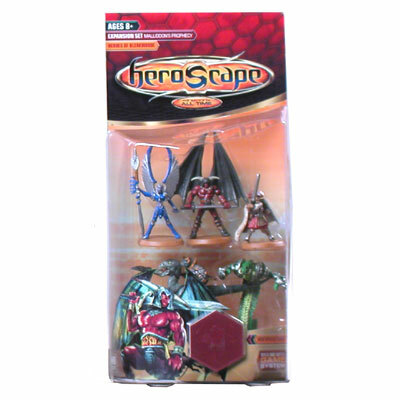 Add the power of the UNIQUE HEROES to your HEROSCAPE Army! The battle is getting tougher. New heroes are needed to lead the armies to victory. JANDAR, ULLAR, UTGAR and EINAR are seeking reinforcements. These unique heroes bring special powers and abilities to our armies. The KYRIE's ability to fly enables them to move over obstacles including water, ruins and their enemies. The VENOC WARLORD can slither through water without stopping, while the human and orc heroes add strength to their comrades.